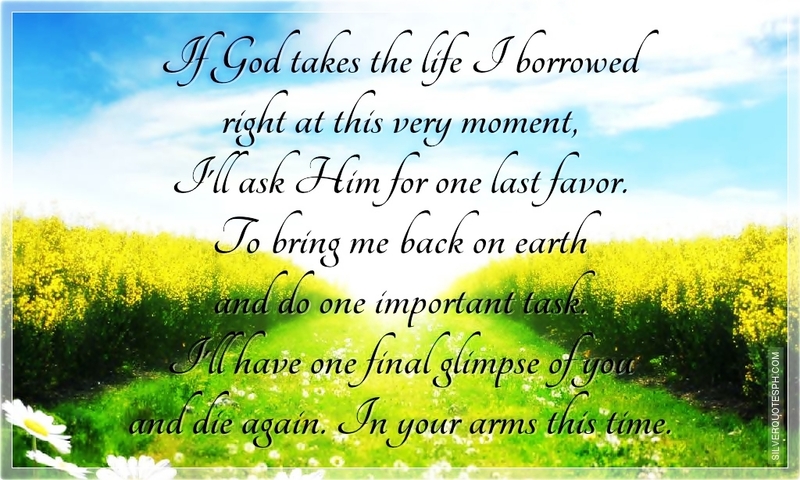 If God takes the life I borrowed right at this very moment, I'll ask Him for one last favor. To bring me back on earth and do one important task. I'll have one final glimpse of you and die again. In your arms this time.